Hello to all AKB fans and fanfic readers/writers, skylarkdragonstar here! I'm a new writer that recently joined this thread and this is my first thread. 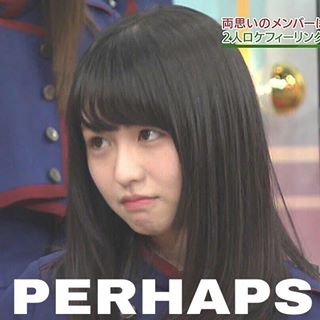 I eventually hope to post fanfics on this site about AKB but until then, I wish to share my collection of drabbles and OS ideas. Some I plan to write multichapter fanfics on once I've got the details and ideas finished, so consider the stories you see on this thread special sneak peek on future stories! I'm kinda a rookie and still am learning a thing or two about using this forum site, so pardon me if I make some blunders here and there. 1) I'm a HUGE fan of Akimoto Sayaka(graduated or not). So don't be surprised if nearly every of my works involve are on centered on Sayaka. 2) I'm a HUGE fan of the TwinTowers/SaeYaka pair. So be aware that I'll try to add TwinTower moments in nearly all of my works. 4) I don't mind accepting ideas, advice or suggestions from fellow readers or writers, so feel free to shoot some ideas at me once in a while. Also if any of you become really interesting in any of my works and want to finish writing it or write a multichapter story on it, let me know and I'll gladly hand the plot and idea over to you. 5) I can't guarantee that I'll update on a daily basis. So there will be times when I don't post something in a long while either due to being busy with something or I get writer's block. So please don't get mad at me if something like that happens! With that, happy reading and I hope to get along with everyone from here on! I'll hopefully post up my first OS/drabble sometime later this week! So stay tuned! Actually, me and Sky-chan are shinyuu like Sayaka and Sae. Which one of is like Sayaka and which one of us is like Sae though? Well I don't know about Ruka, but I currently have short hair, and to tell you the truth, I tend to dress in boyish clothes more and got mistaken as a boy once or twice , so i guess i'd have to agree with u and say that at the moment, I'm like Sae between the two of us. Eh?! I was about to say the same!!! I have so many similarities to Sae(one of them, of course, includes the undying love I have for Sayaka~ ). Well I also carry some similarities to Sayaka. I have no beautiful long hair or six pack abs(which I find so cool and i wish i'm fit like she is) and i'm not as tall as she is. However i have played and enjoy sports and P.E. during my school days, i prefer wearing jerseys than skirts, i would love to dress in danso if i could, i'm kinda strong and able to lift some heavy stuff(though absolutely nowhere close to a 78 kg dumbbell ), i dream to be an actress like she does, i'm good at cooking and enjoy doing it(not a professional though), oh and i've taken a type of martial arts in the past(kendo for 1 year and a half and a few months of taekwondo). Plus, i guess i'm also older than you Ruka. Yahoo~ Ruka here! Yup, I'm here, and since Sky and I are shinyuu, I will be helping her writing some of her fics, as well as posting my own. Akimoto Sayaka was your average high school girl. She lived a happy teenage life, having to overcome her everyday troubles. But she never had too much to worry about. Life was pretty normal, but that also made it a bit boring. She wanted a life that was more exciting and find some way to make it less dull. Then, one day, she got her wish. But in the most unexpected way. While she was walking home from school, she passed the convenience store she always stopped by and heard a small cry. The whine of a dog. She looked and saw a cardboard box, and inside was a poor little brown dog. She knelt down and saw how one of its legs looked limp. “The poor thing...” Sayaka slowly picked up the pup and held it in her arms. Sayaka took the puppy to her house and decided to help its hurt leg. She applied some medicine onto the pup and wrapped its limp leg in gauze. She comforted the little dog and petted it until it stopped whining. She then got some meat from her refrigerator and fed it, as it seemed incredibly hungry and unnaturally thin. “It’ll be okay...” she said petting the pup’s small head. She wrapped a blanket around the pup and set it on the couch. She laid beside it and held it close to her chest, eventually falling asleep with the little ball of brown fur wrapped in her long arms. When she woke up the next morning, she felt something heavy on her chest. She wondered if the puppy had moved around in its sleep and was now lying on top of her. But when she opened her eyes, she was surprise to see a young girl, probably about her age, naked and on top of her. She screamed and pushed the girl off, waking her up. “Ow...” She rubbed her head and Sayaka heard a few whining noises come out of the strange girl’s mouth. She also happened to notice she had brown dog ears and a tail. “Master!” the girl suddenly screamed in joy as she hugged Sayaka. Sayaka pushed the girl away once again. She seriously thought this girl was either drunk or just plain crazy. The messy brown hair, the sparkling eyes, and of course, the perked up ears and wagging tail. That was the only explanation, while not logical, it was true. “Yes!” the puppy girl squealed happily, only making the elder groan. “This cannot be happening… So, how did you turn into.. THIS? !” she said pointing at the naked girl, wrapped only in a blanket. “Itai...” Suddenly, the puppy held her leg and Sayaka looked to see it was bleeding. She quickly got out her first aid kit and tended to the girl’s wound as she continued talking. “Maji ka?” Sayaka felt her eyebrow twitch a bit at that as she tied the gauze and slowly got up. “You can’t remember your name?” Sayaka felt like she was about to facepalm. Sayaka sighed and walked over to her radio, turning it on. Sayaka left and the puppy girl whined, crawling over to the edge of the dresser and resting her head on the table, sighing as she listened to the radio. @Ruka Kikuchi - A job well done partner! Thanks for all your help so far! Also to all who read this thread, BIG Announcement!! Like Ruka mentioned, the both of us have teamed up to write some collaborative works together. And so, I like to properly announce that from here on, Ruka and I will be posting collab fanfics on this thread every often for all AKB fans to enjoy! Please look forward to them! Thanx for the comments! Now, here is chapter 1! “Ohayou, Sayaka.” Oshima Yuko greeted her friend as she found her head down on her desk. Takamina was also with her and noticed the strange aura surrounding her. “Oh, I think I know. It was the puppy.” That word made Sayaka jump. “Uh...” Sayaka really didn’t want to remember that night. Because, that very next morning, the puppy became a human and kept insisting she was her master. Then, Sayaka noticed something. Her lunch box wasn’t in her bag. She thought maybe she had dropped it or something, but now, she couldn’t think because she was already so tired. She got up from her desk and told the teacher she had a headache. He let her go to the infirmary to rest and she climbed into bed, closing her eyes and drifting into sweet sleep. Meanwhile, Sae herself had fallen asleep listening to the radio until a certain scent caught her nose. She immediately perked up and saw her master’s bento was sitting on the kitchen table, where she must’ve forgotten to pick up. The puppy ran into Sayaka’s bedroom and looked for some clothes she could borrow. She opened a drawer and found a jersey that Sayaka regularly wears. She put it on and once again grabbed the lunchbox with her teeth before heading out, tracking Sayaka’s scent. Back at school, Sayaka was fully rested, but now had an empty stomach and was starving. She sat under her favorite tree with Yuko chatting with one of their kouhai, Matsui Jurina. Her mind, however, was in another place, far off in the clouds. Yuko grinned widely and pinched Sayaka’s cheeks. Sayaka felt a sudden tingling sensation at her side. Yuko was tickling her. She tried holding in her laughter, but then Jurina joined in and tickled her sensitive spots. She screamed out as Yuko and Jurina attacked her, and she was found completely defenseless and out of breath. Just then, she heard a noise. A growl. The three looked to see what was causing it, the look of pure shock washing over Sayaka’s face. There was Sae, on all fours, growling at Yuko and Jurina angrily… and with Sayaka’s bento in her mouth. “Uh, who is that?” Yuko said. Sayaka groaned and got up, kneeling down to the puppy girl. Sae simply nodded in reply. “Sayaka-san, is she a friend of yours?” Jurina asked. Sayaka didn’t get to answer as Sae growled again and slowly crawled closer to the both of them, making them back up to the wall of the school building. And Sae sat down on the ground, still with her eye on the two girls, but no longer growling. She turned to see her Master’s angered expression, returning to her side. Sayaka sighed and patted the girl’s head. The puppy nodded with an innocent smile on her face. The two looked back at the older girl, who just shrugged in reply. “I don’t know. I barely even know what’s going on.” Sayaka sighed. “Well, no. But, see, to get you enrolled, we have to talk to...” The three girls fell silent as the little inugami just looked at all of them confused. Sayaka was about to knock on the door to Mariko’s office, but then stopped and looked at her inugami. “Understood.” Just like that, Sae’s ears blended in with her hair and disappeared, while her tail curled up and disappeared as well. Sayaka then knocked on Mariko’s door and slowly opened it. “Mariko-sama!” Sae suddenly yelled out. Her ears and tail popped back out and she hugged the tall woman. “Huh?” All three of them stood in shock. Boy how much more unexpected surprises is Sayaka going to have? Sae puppy's so adorable! It's like I'm seeing Rachel and Asuka from Double Heroine here. Well at least since Mariko knows Sae, it'll be easier to get Sae into the school.